How to say Happy Mother's Day in Visayan/Cebuano? Like you, I also wondered when we started officially observing the second Sunday of May as Mother's Day. There is actually a history behind it. I will tell you about it quickly because it is just a short background. We started observing Mother's Day in the early 20th century specifically in 1908. Thanks to a dedicated person named Anna Jarvis who held a memorial service for her mother in St Andrews Methodist Church, which later became the International Shrine for Mothers, eventually. She campaigned to make the second Sunday of May to be dedicated to mothers as a way of honoring her mom who was an activist and always promoted the welfare of mothers and women in general. 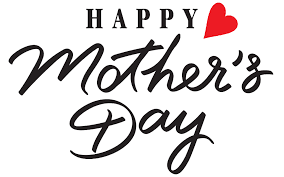 The US congress initially rejected the proposal to dedicate the second Sunday of May as Mother's Day, but, Woodrow Wilson eventually signed a proclamation officially designating the second Sunday of May as Mother's Day in 1914. Malipayong Adlaw sa mga Inahan. Nanay, Mama, Mommy, Mamang, Inay. However way we call our mothers, let's not forget to make this day or any other day special for her. Cebuano Teacher: How to say Happy Mother's Day in Visayan/Cebuano?